This ride starts at Glacier Canyon Lodge, just under our connecting skywalk. 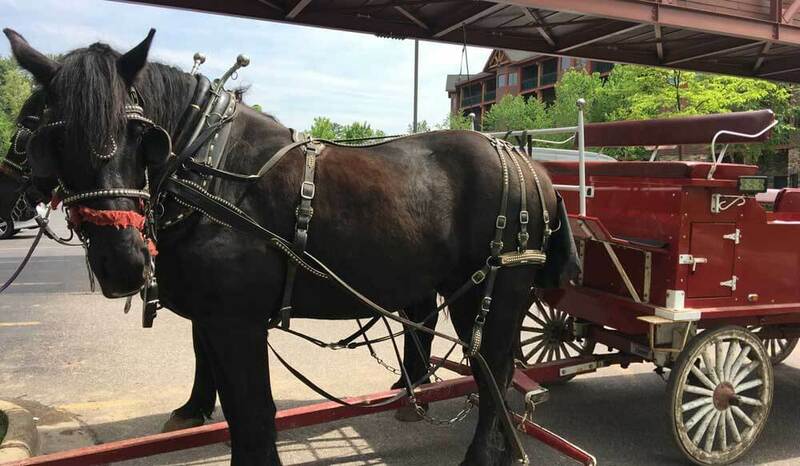 Sit back and enjoy the picturesque Wisconsin woods from the comfort of this beautiful wagon pulled by a team of one-ton draft horses. Make sure you take time to listen to the birds and also catch a glimpse of the Lost Canyon on this scenic jaunt. Wagon ride dates and hours can be found on the Wilderness Express schedule, available at the front desk. Weather conditions do impact availability. Wagon rides last between 15 and 20 minutes and can hold 10-16 people depending on number of children. 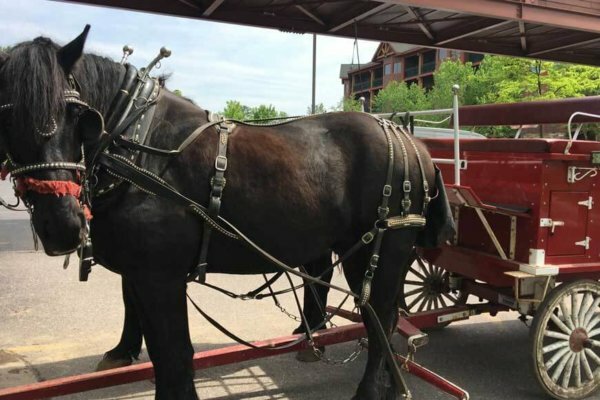 Feel free to ask the driver questions about the horses, or anything else you might see. There is no extra charge for this fun adventure. Gratuities are at your own discretion if you enjoy your ride.